As 2020 prospects go a number of talented ones from across the country currently sit atop the rankings of most national pundits boards. A number of the same started or continued their ascent at various NY2LA Sports platforms. One such talent who’s firmly established himself as one of the premiere prospects in the class nationally is Jaemyn Brakefield of Huntington Prep (WV). 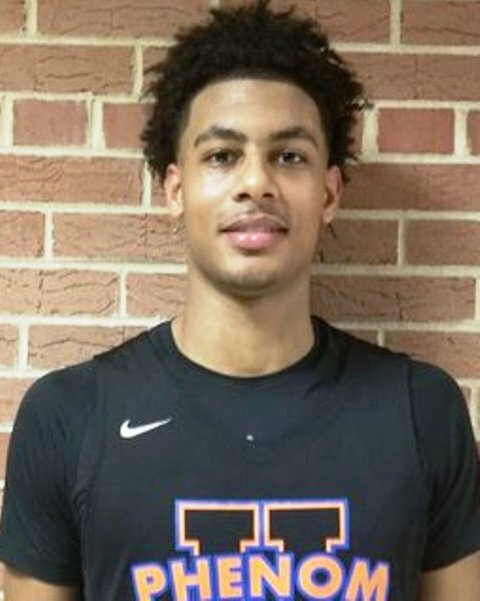 A near 6-9 215 pound plus forward, Brakefield is already one of the most coveted juniors in the country and the talented forward is really just getting started. Equipped with size, plus length, athleticism, and a quality work ethic, Brakefield already has a recruiting trail full of blue blood programs and he’s primed to be one of the big stories in the class over the next 12 plus months. Already a consensus top 25 talent on every board of significance, Brakefield has his sights set on top 10 status nationally and he's trending in that direction with each passing year. A skilled forward who can finish at every level, Brakefield can face up to knock down the perimeter stroke from beyond the arc and he has the ability the put the ball on the floor and score at the rim or with a mid-range pull up. He’s shown an improved ability to finish with his back to the basket and his overall ability to check the box score and provide versatility and matchup problems with his athleticism is a big reason why most regard him as a blue chip talent and one of the prized prospects in the 2020 class. Kentucky, Mississippi, Alabama, Baylor, Boston College, Houston, Illinois, Kansas, LSU, Mississippi State, California, Florida, Florida State, Georgetown, Georgia Tech, Ohio State, Oklahoma State, Seton Hall, South Carolina, UCLA, UNLV, Vanderbilt, Xavier, Western Kentucky, Virginia Tech, Ake Forest, and West Virginia have offered already. Needless to say Brakefield can play at any school in the country and his skill combined with his potential has many of the big names salivating at the opportunity to have him wear the uniform and rightfully so as the young man has big time game and he’s only scratching the surface of his potential. Brakefield is part of the MBA Hoops Elite program based out of Mississippi.